Brr! Fall has definitely arrived here in Minnesota! The wind has been blowing strong for the past three days and we even had some snow flurries yesterday. We had such a beautiful October otherwise. Ben and Sam are recording the drum track to “Bigger Than Any Mountain” right now as the others try to do school. The whole track itself is turning out nicely, very Southern Gospel sounding. We can’t wait to have the Lil’ Adventurers add the vocals! 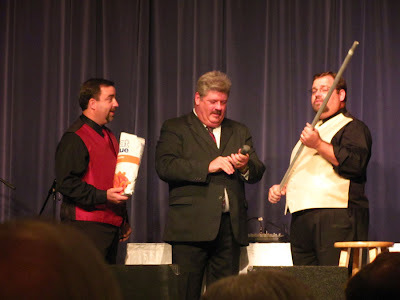 I promised I would post pictures from Saturday at the Midwest Quartet Convention. Here they are! 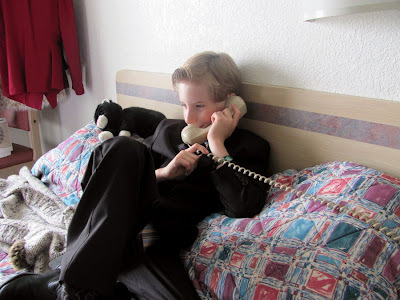 Sam, talking on the phone. He couldn’t live without his guitar! 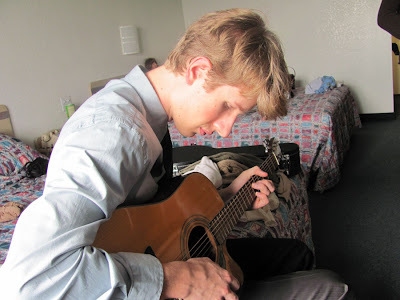 Ben’jamin’. Now this was a good group! Heaven’s Call from Ill. had a neat bluesy-sound, complete with a B-3 organ player. 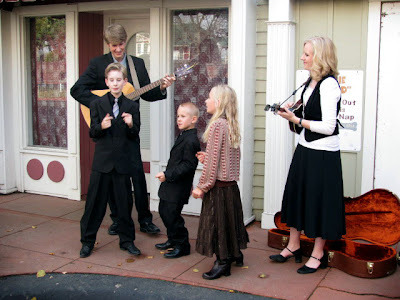 Hear by Faith and others wanted to hear us sing, so we did an imprompto concert outside the Palace. 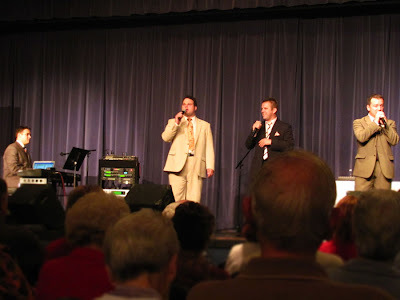 Thanks to Todd of Faithfulmen for taking these pictures! 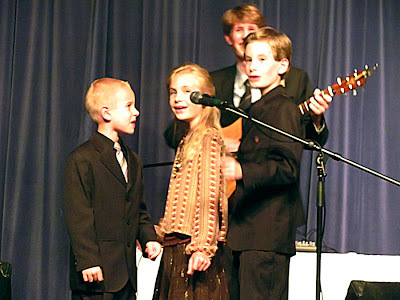 Sam, Jayme, and Caleb singing “Bigger Than Any Mountain” with Ben and I backing them up on guitar and mandolin. 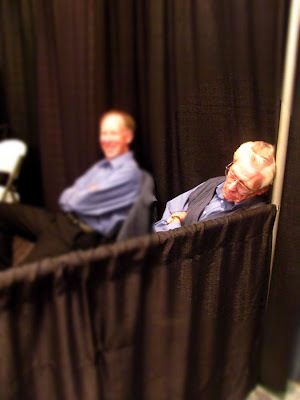 This “young” man of the Foundation Quartet, known as the Energizer Bunny, was caught napping! Okay, time for the story! 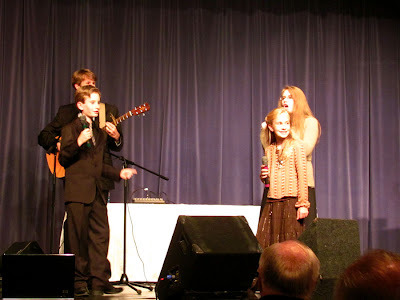 Deanna Green of Hear by Faith and the MWQA board extended a special invitation to our family to sing two songs on stage. We were shocked, and honored! 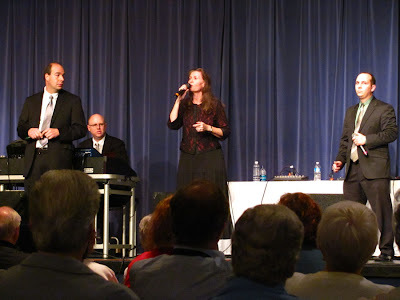 Many, many people had been asking us all weekend if we were singing (I think we have “singers” written our foreheads! ), and we kept telling people weren’t part of the association yet, though we had just turned in our application. 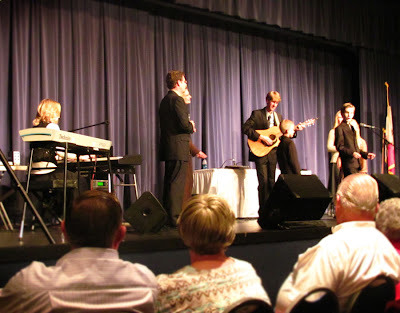 Everyone was as surprised and excited as our family was to see us on the MWQA stage at 6:00 pm. 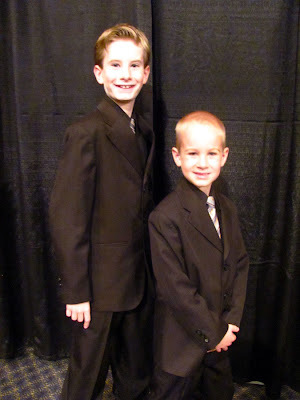 We were very warmly accepted and had a great time! 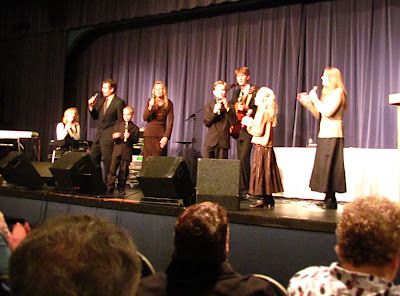 Singing on the stage: Sam, Jayme, Ben, and Leesha. This group needed a bass, so our friend Deanna Green added some low notes (we all know that is was actually Mike from the Chancellors…or was it?). 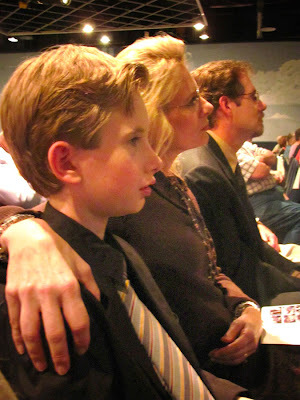 Sam, Mom, and Dad enjoying the music. 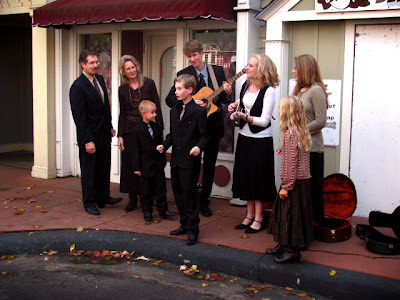 Caleb’s “Second Favorite Trio”: Master’s Voice from OK (second only to Booth Brothers, of course!). He could not stop talking about them or the CDs he got from them all weekend! 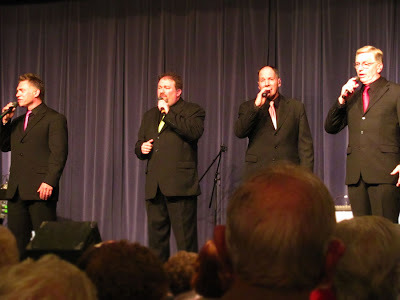 The Chancellors Quartet from MN. I say this is the best regional quartet ever! 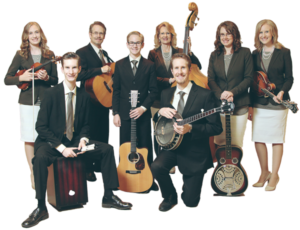 If you ever hear they are coming to your area, go see them! You will be blessed. 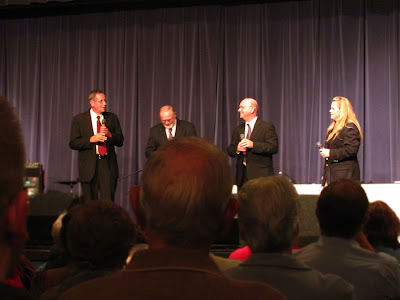 Talking after the convention was over with members of 4 His Love Quartet (another one of our new favorites). The best part about the convention were the new friendships made with many different people. Heading home on Sunday, and of course, where else would we be? 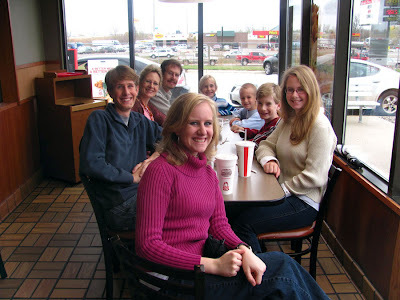 The whole family at Arbys (thanks to the man who took the picture! ).